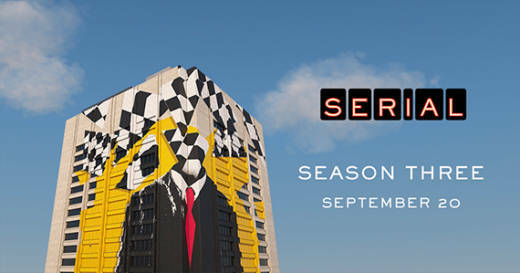 'Serial' Is Back! Listen to the Season 3 Trailer! It's been approximately 84 years since the first season of Serial turned millions of people onto podcasting. Okay, fine, it's only been four years, but that's still a very long time to wait for more top-notch investigative content from Sarah Koenig and company. But what about Season 2, which came out two years ago, you ask? We don't talk about Season 2. It was bad, and you know it. Nevertheless, hopes are high for Season 3, which won't tackle just one case this time, but the whole freakin' criminal justice system! The setting for the third season will be a courthouse in Cleveland. The city granted the Serial team full access, even in the judges' chambers, for an entire year. According to the show's press release, listeners can expect to eavesdrop on "the manipulations, the distortions, the justifications, the gap between the crimes people actually committed, and the crimes they were punished for." Are yours? Listen to a preview now, and check out the first full episode on September 20, 2018.